Order in next 3 hours and 28 minutes for despatch today. 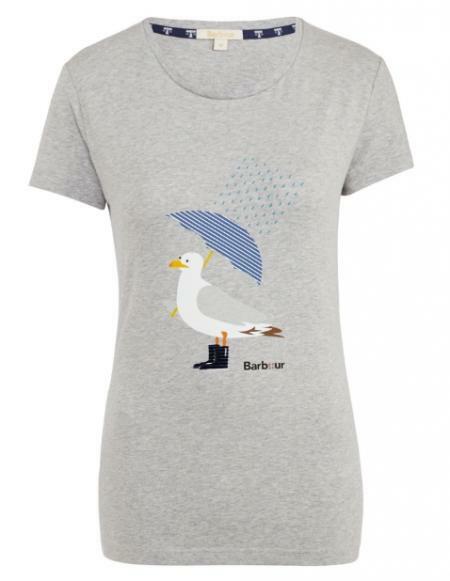 Add a touch of, coast inspired, fun to your summer look with the Women's Barbour Umbrella Seagull Tee, featuring a fun Seagull umbrella print. This beautifully crafted tee has been made from a blend of cotton and elastane for an added touch of comfort. •Soft cotton-blend jersey with placement printSALE!